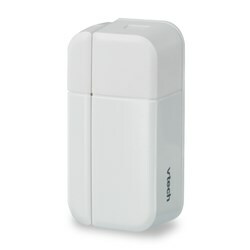 The VTech VC7151-109 is a wireless monitoring system with cordless telephone and open/closed and garage door sensors. With the garage door sensor, you will be alerted on your home phone when your garage door is opened. Know if important areas are secure with magnetic sensors you can put almost anywhere, including windows, doors and medicine cabinets with the open/closed sensors that are included. All alerts are both visual and auditory, so you don’t have to be at any particular place to know what’s going on anywhere in the house. You can even customize when you receive alerts: when the garage door or an object opens, when it has been open for more than a certain amount of time, or after a certain time of day. You can even remotely monitor your house with remote alerts that can call any number to announce programmed sensor alerts, so you can know when your parent's left the garage door open or opened a medicine cabinet at their home. 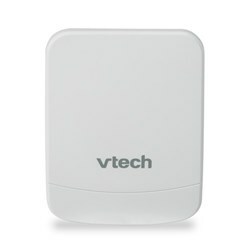 The VTech VC7151-109 has many exciting features for users of all types. You can extend the lifetime of your VTech VC7151-109 with the purchase of a FactoryOutletStore Factory Protection Plan. 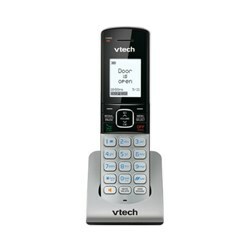 See the VTech VC7151-109 gallery images above for more product views. 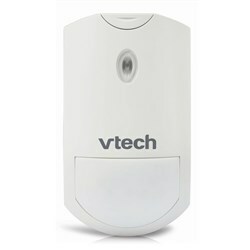 FactoryOutletStore stocks a full line of accessories like Sensor and Wireless Handset for the VTech VC7151-109. The VTech VC7151-109 is sold as a Brand New Unopened Item.